Long, healthy hair is the best hair. Make sure your hair is the healthiest it can be by stopping the following five habits you might be doing everyday. Wearing Hidden Crown Hair Extensions instantly gives your hair a longer, healthier appearance; however, imagine how amazing your hair could look if your natural hair is shining and healthy too! 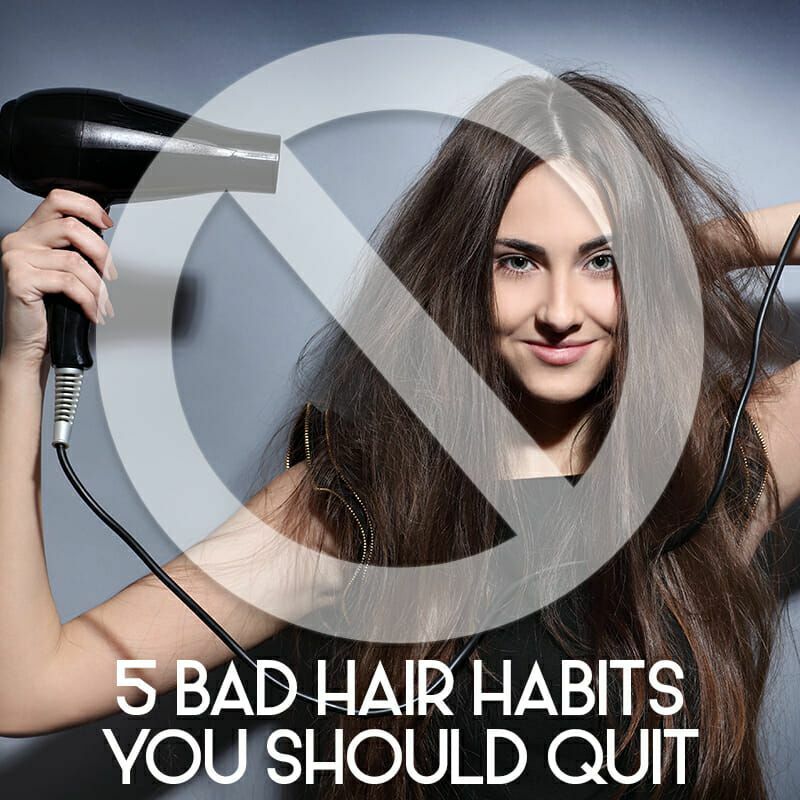 Below we’ve listed five bad hair habits that we’ve all been guilty of. 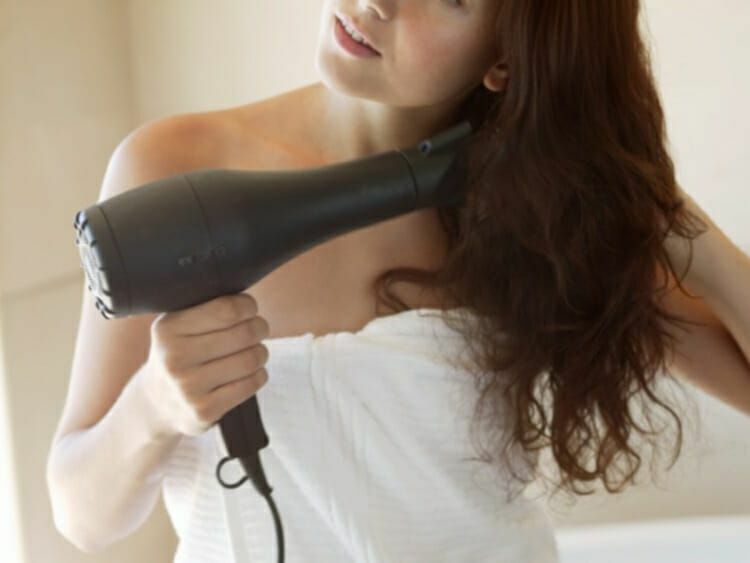 Stop these habits immediately, and let the journey to beautiful hair begin! Taking steamy showers. Washing your hair with hot water dehydrates your hair and strips it of the healthy oils it needs. Turn the hotness down a bit and aim for water that is no hotter than warm. Brushing wet hair. Don’t brush your hair while it’s wet. Your hair is its weakest and most elastic when wet, which can lead to overstretching and breakage if you brush it. 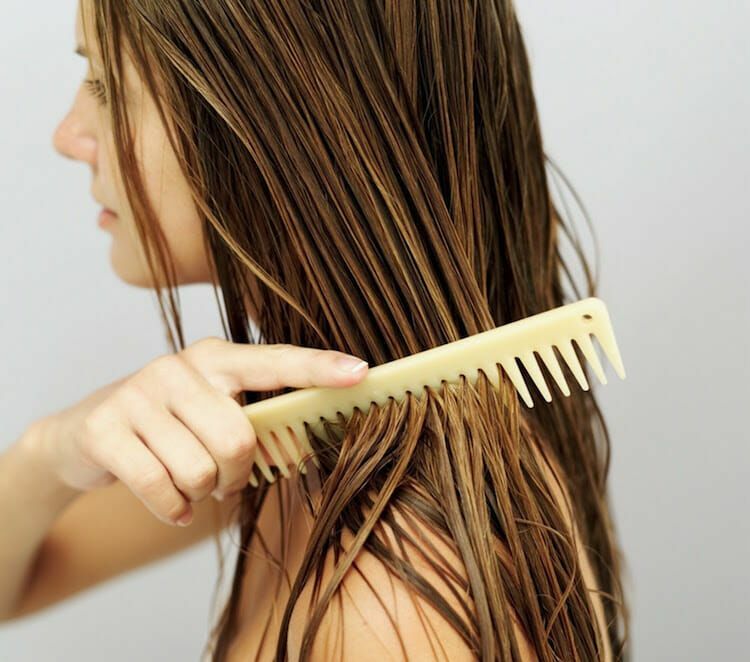 If you must brush your hair while it’s wet, use your fingers or a wide-tooth comb. Not washing your hair enough. With all this talk about making sure not to wash hair too much, we have to be careful and not forget to wash it at all. A buildup of product and excessive dandruff can cause clogged hair follicles. Wash your hair every other day or every two days, depending on how much you sweat and how much product you use. Using heat on your hair. With this said, you don’t need to stop styling your hair cold turkey. All you need to do is be aware of the temperature you have your styling tools at. Have your styling tools at the lowest temperature you can that still allows you to style as wanted. Using clip-in extensions. Clip-in extensions tug on your hair and permanently damage your scalp, leading to bald spots. Wear halo-type extensions that don’t tug on your hair and instead sit nicely on your head.